Dead shopping malls are a sad sight. "It's the human decay that troubles me the most," says photographer Seph Lawless. 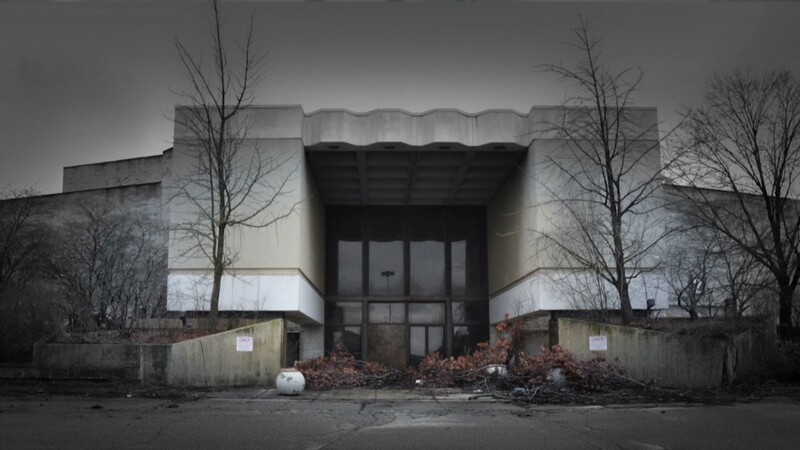 Lawless' new book, "Black Friday" displays his photographs of malls in the Rust Belt states of Ohio and Michigan. He calls his project an "autopsy of America." "The most bizarre was seeing gun shots all over one mall," he said, remembering his visit to Rolling Acres Mall in Ohio. "Shattered glass sky lights and store fronts." Retail analysts can't say how many malls have failed. But they do know that only two new malls have been built in the past eight years. "That tells you where the malls are going: nowhere," said Howard Davidowitz, chairman of retail consulting and investment banking firm Davidowitz & Associates, Inc. He believes that half the nation's 1,500 malls will fail in the next 20 years. Not everyone agrees with Lawless' perspective. "The vast majority of shopping centers and malls in particular are doing quite well, and have been doing well since the recession," said Jesse Tron, spokesman for the International Council of Shopping Centers, a trade group. 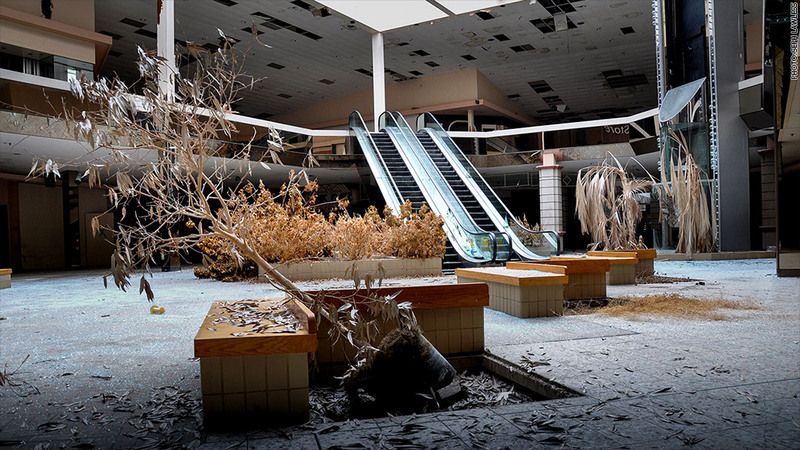 Tron said dead malls only crop up in areas that have suffered severe economic downturns. "There are pockets of this country where demographics have dried up and can't support retail like they once did," he said. Analysts say high-end malls with luxury brands catering to well-heeled clients are thriving. "High-end earners have done disproportionally well coming out of the recession, and that's definitely been a tail wind for the highest quality centers," said D.J. Busch of the real estate analytics firm Green Street Advisors. Busch projects that 15% of malls will fail, or be repurposed, in the next 15 years, but that applies to "low quality malls" that are at a "competitive disadvantage." "The struggling malls will become obsolete, and that actually is a good thing for the overall business," he said. But it won't be a good thing for the malls with empty storefronts and idle escalators. "I think we are facing a very frightening time in American history, so I want my images to scare people," said Lawless. "I hope people see my images and see the beginning of the end of the greatest economic machine that the world has ever seen... America."